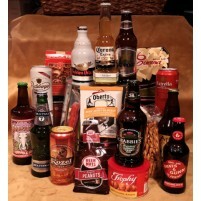 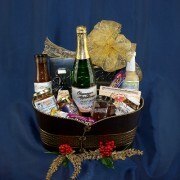 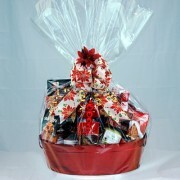 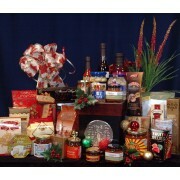 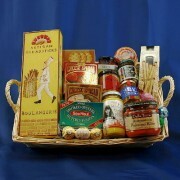 These gift baskets can be made with items from the Corporation to be included in the gift basket. 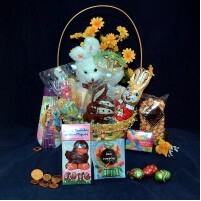 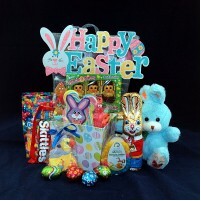 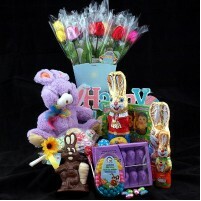 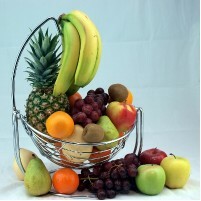 This basket may also be decorated in the corporate colors with the ribbons, bows, and silk flowers. 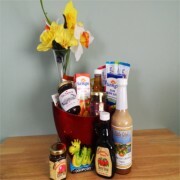 There are endless opportunities to making your Corporate gift basket, weather it be for an employee, or to another Corporate person or Corporation or Business or for giving to a charity on behalf of the corporation. 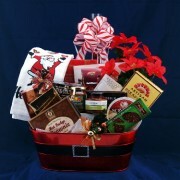 This is a great way to get a gesture of thanks, or appreciation in front of others with your Corporate LOGO attached. 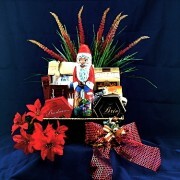 Corporate Donation gift with the corporate Logo and Colors. 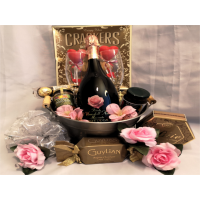 OkanaganTaster Basket In this apple basket there is a sample of what is available and fres..
ROYAL DELUX GIFT BASKET This Gourmet Gift Basket is filled with Luxury items and snacks for..
Santa's pants is a metal container that will be usefull as a table center piece with a plant, or bre.. 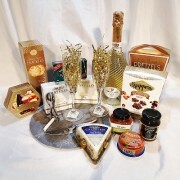 This party tray is filled with delectable goodies for everyone. 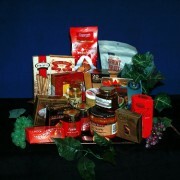 Makes a great tray of gourmet ..
Supreme Appreciation This gift basket is brimming with wonderful flavours from around the ..
Tapas 37 piece Gourmet Gift Set. 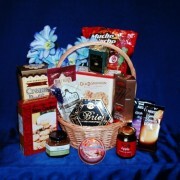 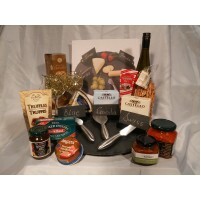 A beautiful basket made for those that enjoy having lovely go.. 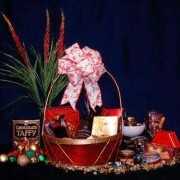 This baskets boasts so many of the traditional Christmas Snacks that we have made up so many preciou.. 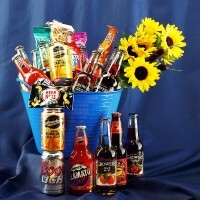 Variety Basket Whatever the occasion, the receiver will enjoy this basket full of treats. 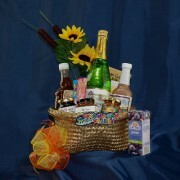 Very Ve..
Vineyard's Delight Present this beautiful, richly "Vineyard-inspired" decorated basket to someone.. 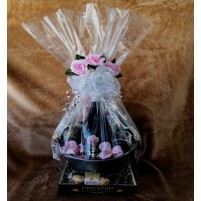 This beautiful gift is made with gifts to keep and use for many occasions to come. 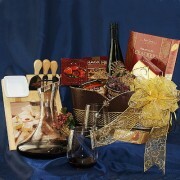 It is a mul..
Wine & Cheese Delectables This wine & cheese platter comes overflowing with great ..
"I'm so impressed with the quality of this basket my Aunt received yesterday at KGH. 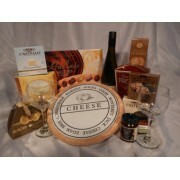 But more importantly, the Fantastic customer service! 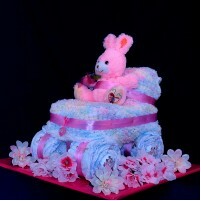 The personal"